We build long-term relationships with our customers. You can always rely on us! We aim to provide our clients well-timed and best quality support and maintenance of their IT solutions and systems. Nextsense employs top experts which are not only certified, but have also proved themselves through the many years spent at the support department. Nextsense support department is established to provide the most competent and most professional support that can be received at the market for wider circle of clients. Our goal is always to keep satisfied our clients, by offering maximum quality and attention. The way of working, the processes and the structure of this department are strictly defined which guarantees maximal customer satisfaction as well as punctual and accurate fulfillment of the obligations towards the clients. Friendly helpdesk team is at your service when you need them most. We provide remote and on-site support. Our experts are trained and highly competent for diagnosing and resolving different types of issues. 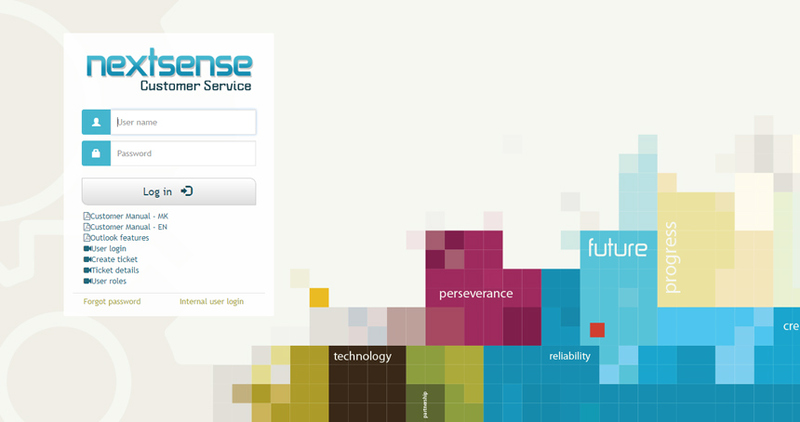 Advanced ticketing solution - Nextsense Customer Service was developed and implemented by Nextsense to answer the customers’ needs. Nextsense mission is to provide timely resolution of incidents, problems, errors, and inquiries within approved requirements contained in service level agreements and keep customer satisfaction on high level. We work with many types of customers with unique needs and different budget levels. We customize our support offers and SLA for each customer in order to help them get the best value and select services according to their needs. We handle all monitoring for you, incidents, problems and change request in order to keep your systems updated, upgraded and healthy every single day. Preparation of reports with the results. Incident closing with previous acceptance and confirmation from the customer. “Nextsense demonstrated great experience and professionalism in accordance with our agreement for system support of the Microsoft based network infrastructure.